Twitter Says It Has Shut Down 125,000 Terrorism-Related Accounts : The Two-Way The announcement comes just weeks after a woman sued Twitter, saying the platform knowingly let ISIS use the network "to spread propaganda, raise money and attract recruits." Weeks after a woman sued Twitter for giving voice to ISIS, the social media platform released a statement saying it has suspended more than 125,000 accounts since mid-2015. In its ongoing effort to combat violent extremism, Twitter announced Friday that it has suspended more than 125,000 accounts since mid-2015 because of what it called their connections to terrorist or extremist groups, primarily ISIS. NPR's Aarti Shahani reports that the company says there is no "magic algorithm" to identify terrorist content on the Internet, so it is forced to make challenging judgment calls based on "very limited information and guidance." "The company says it is trying to strike the right balance between enforcement against tweets that break the rules, the needs of law enforcement, and free expression," Aarti reports. 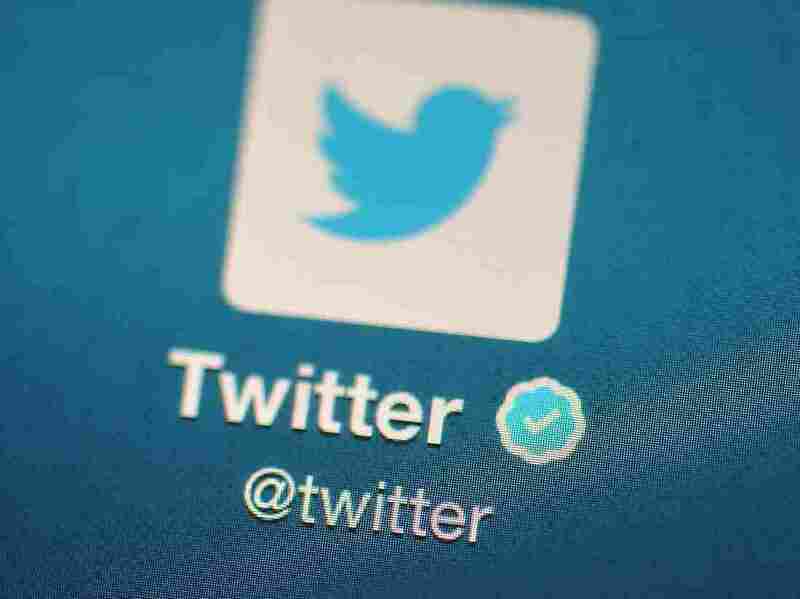 In a statement, Twitter also said it has "increased the size of the teams that review reports," enabling it to respond more quickly to terrorism-related posts. "We have already seen results, including an increase in account suspensions and this type of activity shifting off of Twitter," the company said. The statement comes just weeks after a woman sued Twitter, accusing the platform of giving voice to ISIS. Tamara Fields, a Florida woman whose husband, Lloyd, died in a November attack on a police training center in Amman, Jordan, said Twitter "knowingly let the militant Islamist group use its network to spread propaganda, raise money and attract recruits," according to the complaint. The suit also alleged that "ISIS members use Twitter to post instructional guidelines and promotional videos, referred to as 'mujatweets.' "
"While we believe the lawsuit is without merit, we are deeply saddened to hear of this family's terrible loss. Like people around the world, we are horrified by the atrocities perpetrated by extremist groups and their ripple effects on the Internet. Violent threats and the promotion of terrorism deserve no place on Twitter and, like other social networks, our rules make that clear. We have teams around the world actively investigating reports of rule violations, identifying violating conduct, partnering with organizations countering extremist content online, and working with law enforcement entities when appropriate." Filed in Oakland, Calif., Fields' suit says Twitter violated the federal Anti-Terrorism Act by providing material support to terrorists, but Reuters reports that "lawyers specializing in terrorism said Fields faces an uphill battle." The news service notes that even if the suit is unsuccessful "the case could lead to more calls for social media companies such as Twitter and Facebook to take down posts associated with terrorist groups."